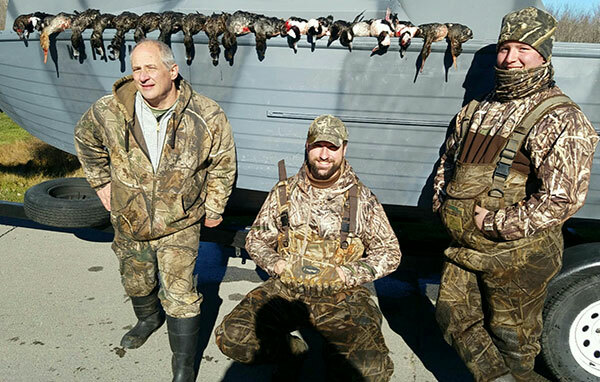 Our season begins hunting in October targeting blue bills, redheads, canvasbacks, goldeneyes and buffleheads. 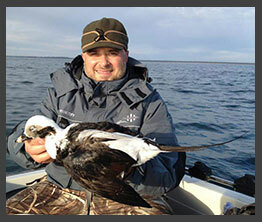 Our (long tail/old squaw) and scoter hunts begin in mid October and run through the end of the season. 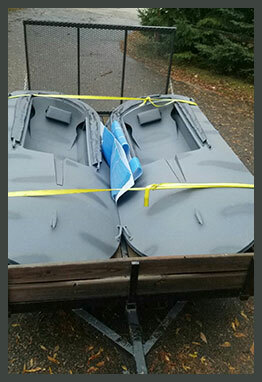 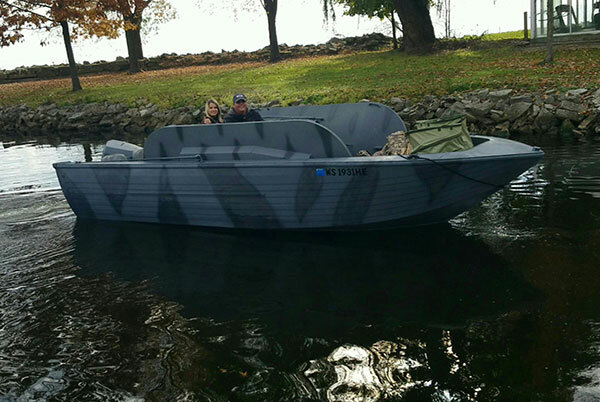 We run two brand new layout boats, the largest and most comfortable single man UFO style layout boats on the market (Layout Addiction Aluminum Layout Boats) to provide you with the safest and most comfortable layout hunting experience possible. 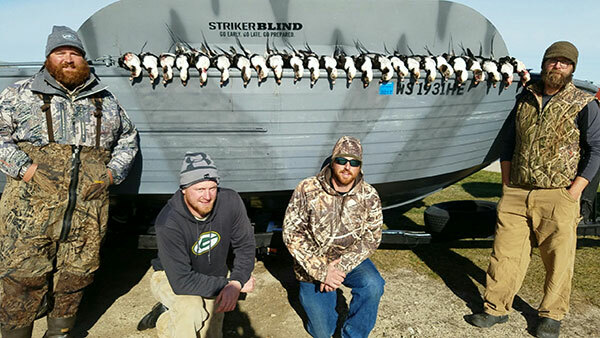 The low profile design and comfortable concealment enable hunters to have a lot of in your face shooting to pick out trophy drakes on some of the most sought after species of waterfowl this flyway has to offer. 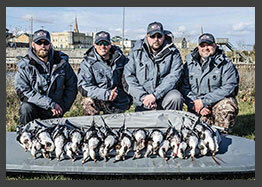 Depending on customer preference and/or weather conditions, we either hunt Lake Michigan or Green Bay. 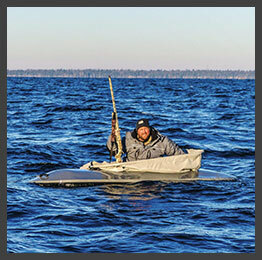 There is always a place to hunt and to be out of the wind and waves. 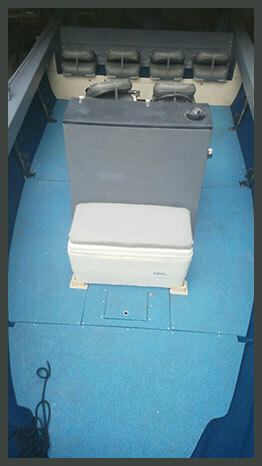 The tender boat and layout boats are equipped with a USCG approved waterproof ship-to-shore marine radios for constant contact between the layouts and the tender boat to ensure safety. 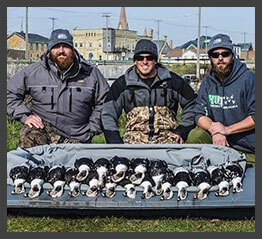 Layout hunting for fast flying divers and sea ducks is a very unique approach to water fowling that should be on every serious water fowler's bucket list!